In 2011, Milwaukee voters passed a paid sick leave law, the third in the country behind San Francisco and Washington DC. The new ordinance was set to provide up to 9 days of paid sick leave to any employee within Milwaukee’s city limits. However, the local Chamber of Commerce challenged the legality of the law and while the final outcome was still uncertain in the Lower Court of Appeals, Wisconsin State lawmakers passed SB 23. Although Milwaukee’s sick leave ordinance attempted to provide paid sick leave for workers, Wisconsin does already have a Wisconsin Family Medical Leave Act (WFMLA). WFMLA provides for a broader leave than the Federal FMLA. Wisconsin’s Family Medical Leave Act provides up to 8 weeks of unpaid leave for employees and two weeks of personal medical leave. Employees can take leave to care for parents, children, and themselves. The law protects employees jobs and provides greater flexibility for leave to be taken than the Federal Family Medical Leave Act (FMLA).. Because it also provides for leave for the employee’s illness, it also offers a form of sick leave for employees. Employees can take up to 6 weeks after the birth of a child, two weeks to care for a parent, child or spouse, and up to two weeks for their own illness. Like FMLA, it covers employees whose employers have at least 50 employees or more and there are other specific criteria regarding length of time worked for the employee to qualify. The Milwaukee paid sick leave law created overlapping requirements for large and small businesses and would have required dual documentation for businesses to track sick leave and to determine when to pay employees and how to stay in compliance with both laws. Employers would have had to track sick leave accrual, determine based on accrual whether or not employee sick leave was paid or unpaid, and if sick leave extended past the accrued sick leave, change the paid leave back to unpaid leave. Specific Provisions of Wisconsin’s Preemptive Law. Wisconsin’s preemptive sick leave law was the first preemptive sick leave law in the country and it made the Milwaukee ordinance void. Since it was the first preemptive sick leave law passed, it set the precedent for other state’s preemptive laws. However, the Wisconsin law is more specific than many of the other laws passed since. The legislature found that the Wisconsin Family Medical Law already created a uniform leave law and that by allowing additional laws to be enacted across the state would conflict with the existing law in force. In addition to the preemptive sick leave law, Wisconsin also has a minimum wage preemptive law on the books. In 2005, when then Governor Jim Doyle signed a bill prohibiting local cities and governments from enacting a higher minimum wage. 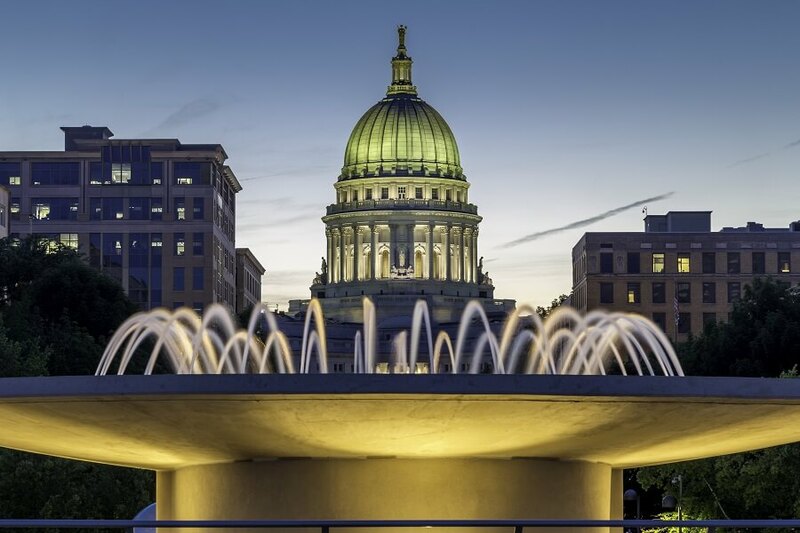 The City of Madison had enacted a higher minimum wage and three additional cities; Eau Claire, La Crosse, and Milwaukee were all in the process of increasing minimum wage as well. Wisconsin Act 12 took effect on June 1, 2005 and preempted local minimum wage laws. Even so, that same year Wisconsin increased the state’s minimum wage to $7.25, which stayed in effect when the Federal minimum wage was increased to the same amount. Currently 20 states have preempted local sick leave and minimum wage laws including, most recently Florida, Oklahoma, Georgia and Missouri. Although local sick leave and minimum wage laws are preempted, employers in Wisconsin must still comply with a variety of employment laws relating to employee payroll and timekeeping. Among those regulations are included the Wisconsin Family Medical Law, the Federal Family Medical Leave Act, and the overtime and FLSA rules. Further, employers who have employees in Wisconsin and other states will have to comply with multiple local and state employment laws. Fortunately, Swipeclock can help. Written by Annemaria Duran. Last updated May 16, 2017.